As a devoted real estate professional I will make every effort to ensure your experience is as smooth and enjoyable as possible. Beat the summer heat and cool down your home with these hacks. When the mercury rises, homes without air conditioning can get stuffy and uncomfortable, making it difficult to relax, eat or sleep. Try these heat hacks to stay cool and calm all summer long. Roof maintenance can cost an arm and a leg. See how you can save money in this article. For more helpful tips like this, "Like" and share this Business page. Avoid contractors that require a large upfront payment and get a 10-year warranty if you can. Mold is a primary concern for many homeowners. Learn how to manage it here. Mould is a primary concern for many homeowners. Follow these steps to mitigate any property damage, and protect the health of you and your loved ones. Getting approved for a mortgage may be easier than you think. What does it take to get approved for a mortgage to buy a house? Prepare for home buyers with these great and effective staging tips that will up the price of your home. Staging your home can gain you more money in the selling process. Here are 3 simple steps to give you perspective on what to expect in terms of costs. Quiz: Which Home Style Suits You Best? Which home style suits you best? Take this fun quiz to find out! So what’s YOUR ideal home? Add a little personality to your front door and pick a color that speaks to you. There are several different ways you can increase the curb appeal of your home,and the most interesting example would have to be your door color. It's possible to remove termites with eco-friendly solutions that won't harm your family or pets. Find out more here. Termites can do permanent damage to your home, so it is not to be trifled with. Here are 3 eco-friendly ways for removing termites from your home. Even skilled DIY enthusiasts should consider hiring help for these projects. We're all for rolling up our sleeves and saving money. But DIY home improvement projects can go really wrong—contractors tell us which projects to avoid. Among the changes are new solar panels that look like regular shingles. They will eliminate the need to buy separate glass panels. Turn your backyard into an island getaway with a few simple changes. Turn your backyard into an Island getaway with these simple ideas and enjoy every day to its fullest in your own personal escape. Planning a summer vacation? Here's how to protect your home while you're away. 10 things to consider before you shut the front door and head off on a vacation. Buying a second home can be more expensive than buying your first home. Here are three important factors to consider before you make a decision. Enjoy your summer with fewer bugs by adding some of these plants to your garden. You can plant herbs and flowers to repel bugs, including mosquitoes, and help keep the Zika virus at bay. Can't decide how to remodel your kitchen counters? This list weighs the pros and cons of different materials. You don't have to remodel your entire kitchen to make it feel fresh. Change up your counter top to add some excitement into your kitchen. Is your house market-ready? Follow this list to whip your home into shape. Properties that show the best sell the quickest and for the highest price. Therefore, getting your home into the best possible show condition is in the best interest of sellers. What do you keep in your guest room? Check out the essentials here. While many guests are just fine with a bed to sleep in, it's a nice gesture doing a little bit more to make sure their stay at your place is great. There are ways to get a mortgage without a permanent, full-time job. Get in touch if you need help! No W-2s and an uncertain wage future from working in gig economy can make getting a mortgage tough. Here are 6 tips to help prep for a loan application. Want to give your home a pop of color? Jewel tones add a touch of style and luxury to your space. The world is mesmerized by the gem-inspired interior design trend. Here are some tips for when you're ready to give your own place a jewel tone makeover. What if you could visualize new furniture in your home before you purchased it? Soon, you can! Here's to the red, white and blue! Check out three ways to celebrate at home. Looking to remodel your home? Here's how to find the right contractor for the job. Following these 5 tips will help ensure a positive, stress-free experience to find the perfect contractor for your home renovation. Looking to buy a home with your significant other? Here are the top issues most couples have + how to avoid them! A survey finds the majority of couples buying a home said they disagreed at least occasionally during their search for a new place. Use minimalism in your home staging to make each room look more spacious and inviting. Minimalism can make each room look more spacious and inviting by drawing attention to only a few detailed components. Here are four principles to consider. Planning to buy a home soon? Mortgage rates for 30-year and 15-year fixed loans moved lower today. Water damage is one of the top causes of home insurance losses today. Learn how to protect your home here! Since water damage is one of the top causes of home insurance losses today, here's a few tips to help you keep your home safe and dry. White walls and floor lamps are making a comeback, according to the stars of HGTV's Vintage Flip. Get the scoop here! Jessie and Tina Rodriguez, the stars of HGTV's hit show Vintage Flip, mayspecialize in old homes, but they know exactly what the hottest new design trends are. Pools offer great relaxation benefits + are fun for the whole family, but they do require a financial commitment. If you're considering buying a swimming pool, make sure you know what you're getting into financially. Here are a few aspects to consider. Save thousands with these mortgage tricks. Get in touch today if you have questions! Looking to make some kitchen improvements? These designer details will catch any buyers eye! Make the most out of your investment with these cost-effective home additions. This breakdown of the most popular home additions along with costs and payoff can give you some insight to the most cost-effective additions to your home. Tired of garden pests ruining your curb appeal? Save your yard with these protection tips! Whether it's insects you are at war with or dealing with bigger pests, there are a few great ways to protect your garden. Want to sell your home for more? Learn which paint colors performed the best! Having your walls painted certain colors can affect how much it sells for, according to Zillow's analysis. Need some design inspiration for your child's bedroom? Check out these creative Disney-themed ideas! Decorating your kid’s room with elements from their favorite Disney movies can help them feel comfortable and confident in who they are. If you've found the perfect home at a great price, chances are other people think so too. Here's how you can get the upper hand! Fighting multiple offers on a home can be a nightmare for buyers: It basically means that you've found your dream home, but everyone else also wants it. High-quality online photos are crucial for selling your home. Read on to learn the benefits and understand the value! When it comes to listing your home, posting high-quality photos online is probably the most powerful marketing tool at your disposal. Do you love the farmhouse trend, but still desire an original look? Designer Amy Zantzinger explains how to achieve the style without the cliches! Amy Zantzinger shares five ways to bring this casual look into the 21st century. Interested in home automation? Here are the best smart home devices of 2017! Deciding how you want to deck out your new space? Check out some mid-century modern ideas for inspiration! Mid-century modern style homes are becoming the latest big trend across America. Here's how to add a touch of Mid-century modern to your home. Navigate the home buying process with ease by learning what to expect before you get started. Get in touch today if you need help! Buying a home might feel like a laughable financial goal, but with some planning and the right information, you might be in better shape than you think. 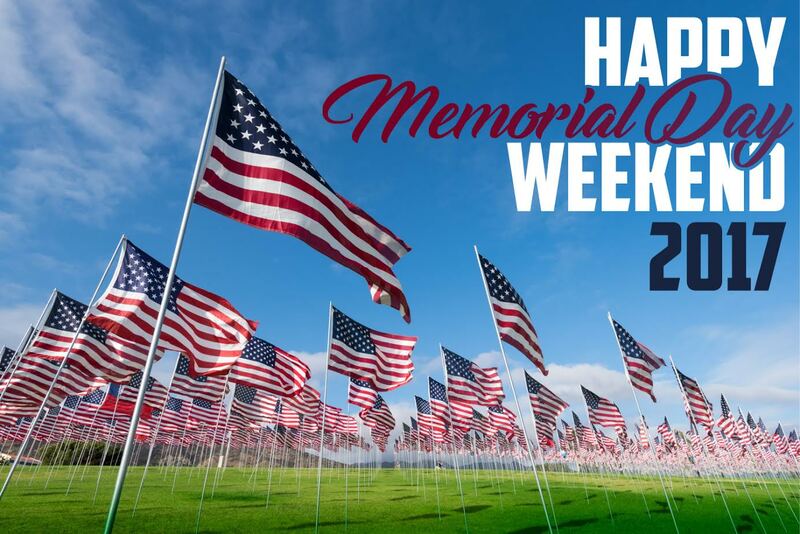 Thank you to all our heroes, past and present! Something as simple as replacing old house numbers can improve your curb appeal. Find more ideas here! Curious about which remodel projects generate the best return on investment? Read the full report here! Homeowners can, on average, get back 64 percent of the money they put into a renovation. But which projects have the best return on investment? LED light bulbs and water-saving shower heads are just a few ways to save on your utility bill. Learn more money-saving hacks here! Here's how to create a successful open house. Get in touch today if you need help! Get It Sold host and home-staging expert Sabrina Soto shares her 15-tip checklist on what to do before opening your house to buyers. Be the first to know and let us send you an email when Jonathan Bunn posts news and promotions. Your email address will not be used for any other purpose, and you can unsubscribe at any time.